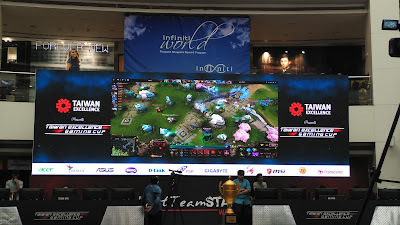 Taiwan Excellence Gaming Cup organized on Sep September 18 and 19 place at Infinity Mall, Malad for gaming enthusiast. 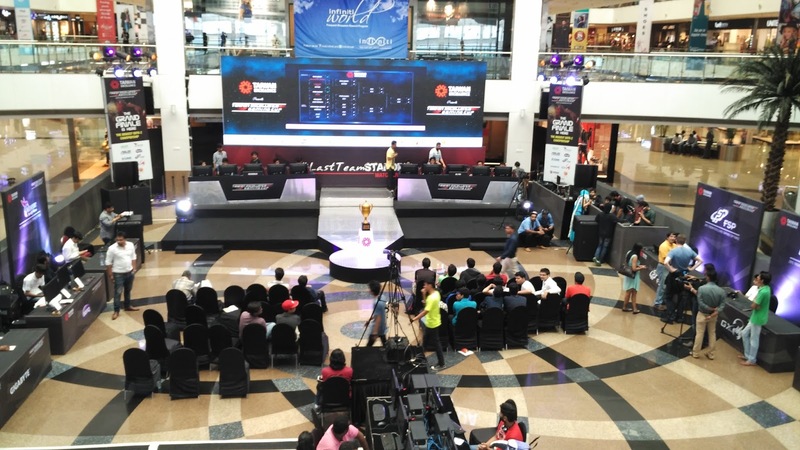 More than 500 gamers,participated high-end gaming gear and a heavily charged atmosphere marked the grand finale of the second Taiwan Excellence Gaming Cup in India. Taiwan Excellence, which represents the innovative and technological image of Taiwan's competitive industries, is a symbol of reliability, innovation and super value. Such excellence radiates from many of Taiwan's niche industries, particularly the ICT industry, of which many have become renowned brands in their field. In the Indian market, Taiwan Excellence, along with a selection of 61 international Taiwanese brands, expects to bring Excellent Lifestyles to consumers' daily lives. The Bureau of Foreign Trade (BOFT) was officially established under the Ministry of Economic Affairs (MOEA) of Taiwan, and is responsible for drafting Taiwan's international trade policies and managing trade related activities. The BOFT's role and position have undergone continual adjustments to meet the needs of the shifting international economic and trade environment. Visit www.trade.gov.tw for more information. The Taiwan External Trade Development Council (TAITRA) is globally recognized as Taiwan’s foremost non-profit trade promotion organization, with over 60 offices worldwide. For more than 40 years, TAITRA has been highly commended for its professional and outstanding services, offering a host of trade related services that cater to different business needs. Partially supported by the Taiwanese government and various commercial and industrial associations, TAITRA has been entrusted to spearhead numerous government projects, including the launch of the Taiwan Industry Image Enhancement Project (IEP) for the promotion of Taiwanese industries and to raise awareness for brands internationally. Now we will move onto event that was organized by Taiwan Excellence. After the stupendous success of the event last year, this year, the gaming festival was back with its second edition with double the prize money and even bigger fun. This year, a total of 203 teams registered for the event out of which 64 participated in the elimination rounds held in Mumbai and Delhi each. The number of teams registered was almost double from that of last year with players coming in from Shillong, Pune, Kolkata, Hyderabad, Ahmedabad and Bangalore to participate in the contest in Mumbai. While last year the Cup had been held only in Mumbai, this year, Delhi too was added to the venue after a tremendous response to its debut version. A total of 8 teams, 4 in Mumbai and 4 in Delhi qualified for the grand finale which saw an impressive display of high-end gaming gear as well as some of the latest lifestyle products from Taiwan Excellence, including sleek tablets, smartphones, gaming technology, leisure-related and travel products. The event attracted 11 of the most popular brands from the digital world as sponsors including ACER, ADATA, ASUS, BenQ, D-Link, FSP, Gigabyte, GX, MSi, Thermaltake and Transcend. The participants, as well as the crowd, consisted of avid gamers and techies. All of which were overwhelmed at the magnanimity of the event, which is now considered to be one of the few gaming events in the city of such international repute. The event was streamed live on Twitch TV. We have vitness this contest and got an awesome experience of this events. Have seen gaming laptops of their sponsors. It was really awesome experience of the same. They have oragnized event in open area where everyone can watch this exiting performanc of teams on screen as shown in Image above. All teams participated in grand finale have got something none of them return empty handed. The winner team ‘Team Neck Break’ walked away with a whopping INR 1,70,000 as a cash prize at one of the most awaited and biggest DOTA 2 Gaming Championship in the country. ‘Team Elunes’ won the second place and took home INR 90,000, and ‘Team Bad Xcuse’ secured the third spot and received INR 40,000 as prize money. Standing firm as the 19th largest economy in the world, with a well-developed capitalist economy, Taiwan has proven itself to be a major player in the market. Taiwan not only has developed into a hub for tech, but is also more familiar than Japan and Korea with classic martial arts themes and the aesthetics favoured by the 100 million online gamers in China. 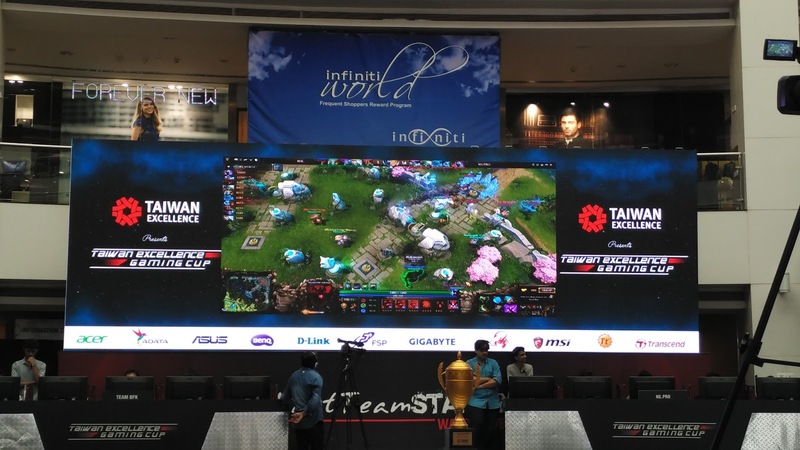 With events like the Taiwan Excellence Gaming Cup, Taiwan is looking at finding a firm footing in the Indian gaming market. Beside this we have also witness gaming industry is emerging as major chunk of global economy with immense growth in Indian economy too. 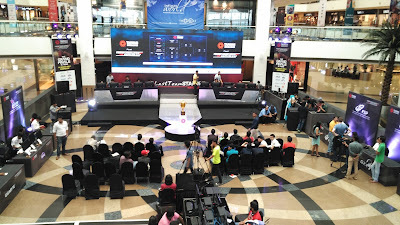 From event like this talent of Indian gamers has emerged as one the strong point of the nation. Because of this many foreign companies like Taiwan Excellence are organizing this event but also bringing advance technology revolution in India too. So here is most of it we have witness. If you have any query comment below. Stay tuned for more. Thank you for reading.